Inside the Blue Building: What Types Of Yokes Work Best With A Roller Bearing? Roller bearings are extremely durable and reduce friction. When used inside of a transmission case support and/or an output shaft yoke housing, the entire driveline rides on "rollers." In some conditions, it can be turned entirely with two fingers. But the real concern is what type of yoke to use in conjunction with a roller bearing. Here's why it matters. There is a single problem associated with this friction reduction: most yokes are not made from the correct material or to the required standards. 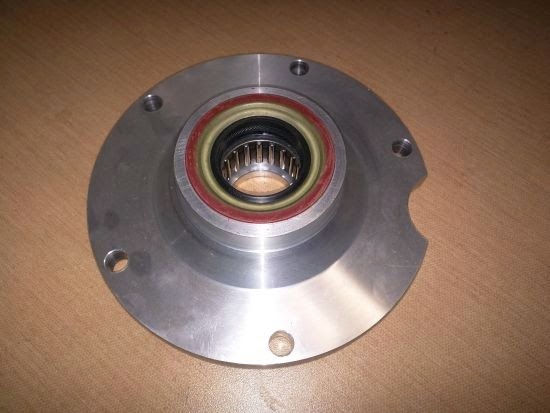 As a result, the roller bearings will cause premature wear and eat away at the yoke, causing damage and eventual failure of the roller bearing assembly. 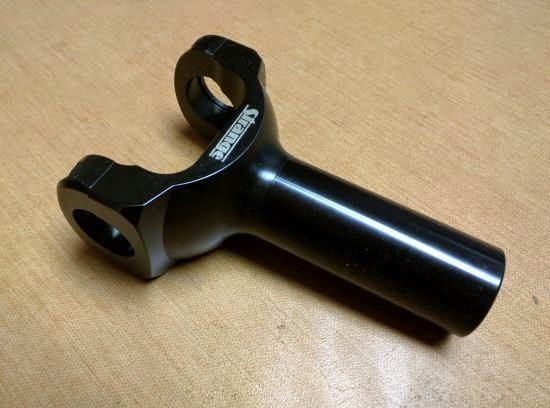 To combat this problem some yoke manufacturers have developed special "nitrided" versions of their performance yokes. The nitriding embeds nitrogen into the yoke material and case hardens the surface. We specifically recommend the Strange U1667N and U1677N yokes for usage with our powerglide PGH-4 roller tail housing. BTE is a proud Strange Engineering distributor and can supply you with the correct yoke for your transmission.